Your instant dry eye relief that fits in the tiniest purse! 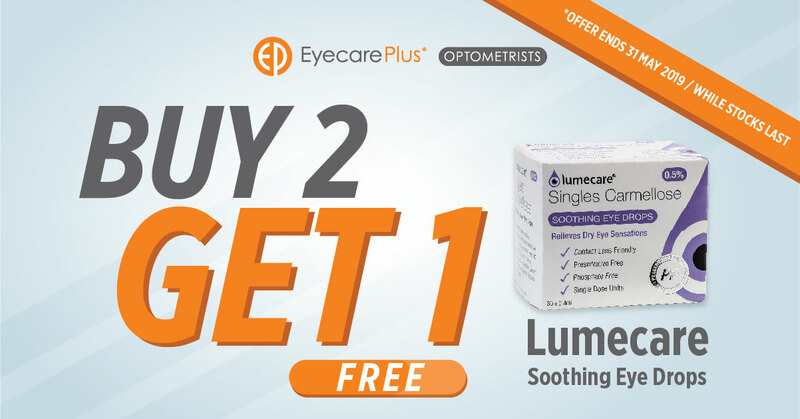 Lumecare single-dose minims are preservative-free, phosphate-free and contact lens friendly. Grab this offer while supplies last or till 31 May 2019. 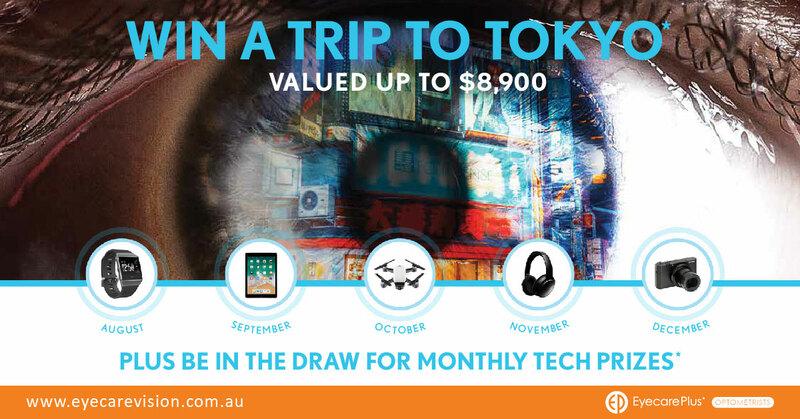 Win a Trip to Tokyo from Bausch + Lomb! Win a Trip to Tokyo when you purchase Bausch + Lomb Biotrue ONEday lenses 2 x 90 pack or Ultra monthly lenses 2 x 6 pack! Other cool gadgets are also at stake! 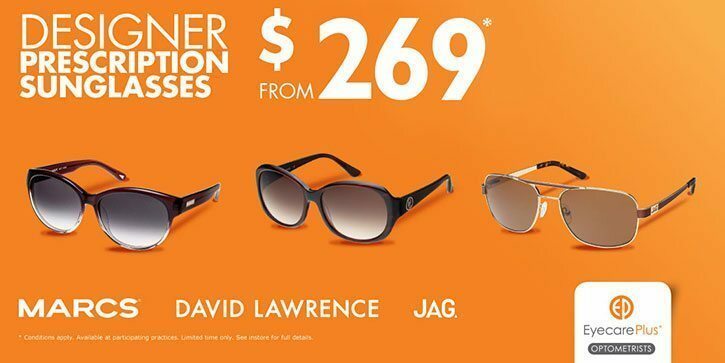 MID-YEAR SALE on Designer Spectacles from $99! 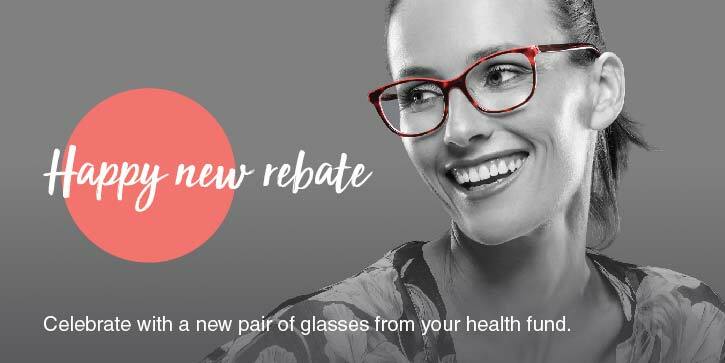 BIG DISCOUNTS on designer frames + single vision lenses from only $99! 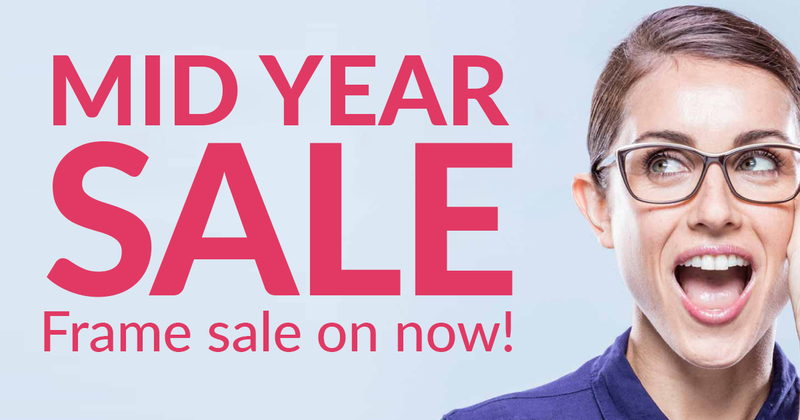 Our Mid-year Sale offer ends on 31 July 2018 so don’t delay! …and let your health fund cover the cost! Happy new rebate! 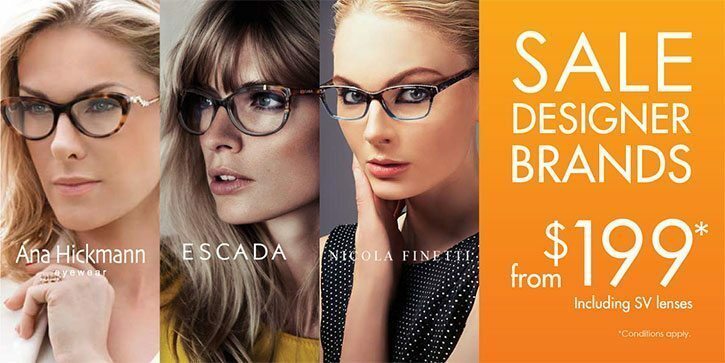 See clearly + make a bold fashion statement with stylish spectacles from top brands like Ana Hickmann, Escada and Nicola Finetti. Complete with standard single vision lenses. No gap available for healthfund members with optical cover. Offer valid until 31/12/2019. Receive a Complimentary Pair of Buddy Spectacles with every Designer Spectacle Purchase! 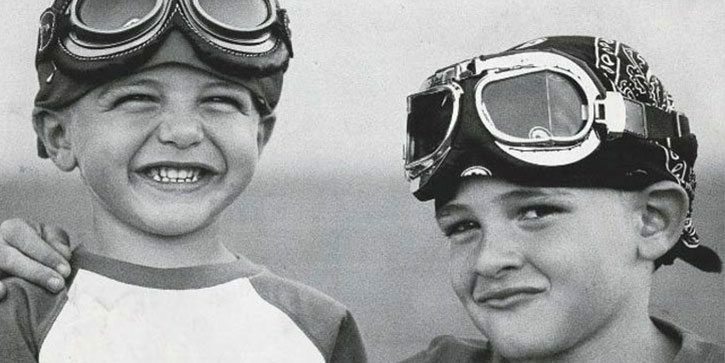 Having a spare pair always comes in useful! Offer valid until 31/12/2019. Try 30 days of Clear Choice Contact Lenses! Our Clear Choice range has something suitable for almost all prescriptions! 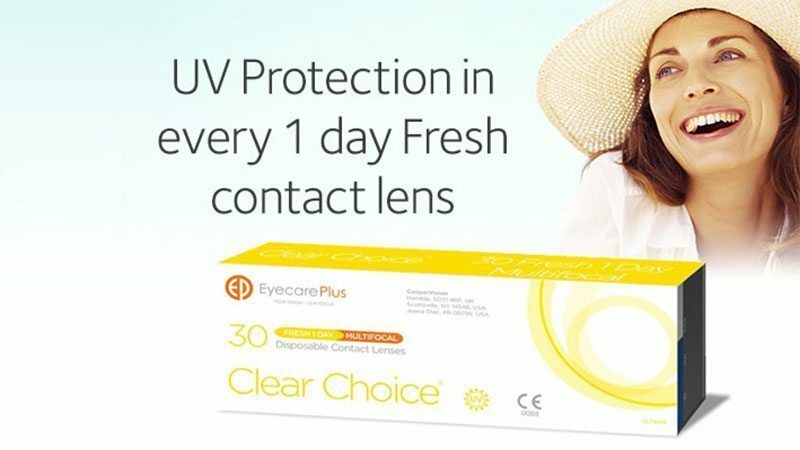 New to contact lenses? Ask about our consultation & contact lens package offer! Offer valid until 31/12/2019. 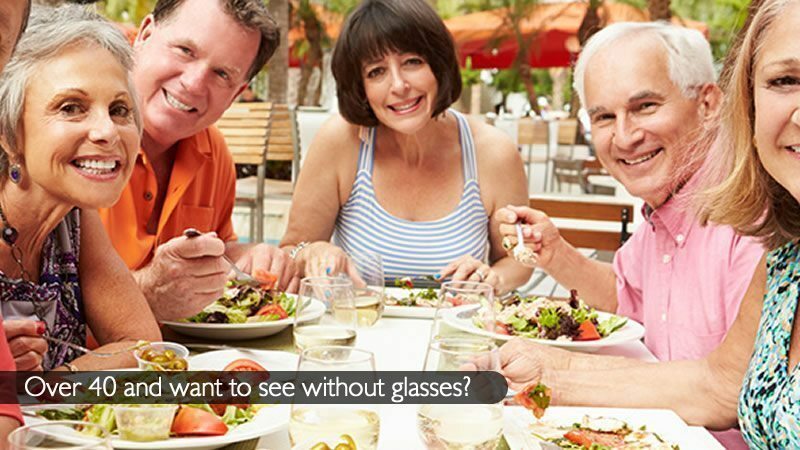 Try 30 days of Multifocal Contact Lenses! Our Clear Choice range has something suitable for almost all prescriptions! New to contact lenses? Ask about our consultation & contact lens package offer! Offer valid until 31/12/2019.